At this point, I don’t need to tell you about the force projection nerfs coming in Phoebe. Every nerd with an EVE Online blog or podcast has already told you about it. 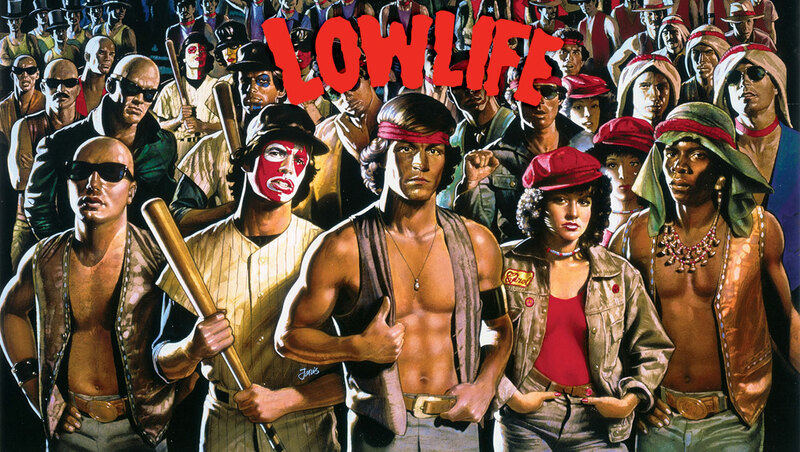 No, in Lowlife today we will be looking at what it means for lowsec and what impact it will have on day-to-day life. Because while the nullsec world may be split between “best thing ever” and “I quit”, most lowsec residents are very positive, and for good reason. Anyone who’s put in any serious time in lowsec understands the meaning behind this word, even though I just made it up. Lowsec fleets and engagements currently suffer a form of stunted growth of sorts because of it. A fleet undocking that contains ships that are attractive targets of opportunity for powerful outside entities, such as battleships, carriers and dreadnoughts typically, runs the risk of being hotdropped. Not because they constitute any form of threat to said entity, nor because there is some kind of narrative involved. No, simply being shiny and something out of the ordinary is enough. On a whim, capital ships from across the galaxy will be instantly summoned to completely overkill anything that sticks out, in a glorified form of killboard padding. Utterly devoid of meaning, strategy or gameplay value. Come Phoebe, this ends. Finally. The current state of affairs ostensibly constitutes a glass ceiling for the development lowsec PvP meta. Imagine a city where local gangs duke it out in the streets – small-scale skirmishes where each gain and lose turf back and forth – but as soon as anyone brings a gun… NATO does a drive-by with a battalion of roaring tanks dropped from the air, turns whoever is too fat to run into a wet stain on the ground, and then rolls out as fast as they came in. Just because they can. GF in local. This is what the reality of force projection means for lowsec today. Combine the current mechanics with a stagnant null where pilots are starved for local content, and boom: hotdrop city with a severe case of blue balls. The result is a fear of hotdrops and FCs that are extremely hesitant to field battleships, carriers or dreadnoughts, completing a catch 22 of sorts: To become unattractive as a target of opportunity you must develop larger-ship culture and meta amongst pilots, but fear of hotdrops means heavier meta seldom develops amongst a significant number of alliances that call lowsec home. Phoebe will allow those local street gangs in our analogy to escalate gradually when fighting each other, beginning to build the pillars of a lowsec meta that isn’t acting under the shadow of a hotdrop. Smaller gangs of capital ships will be able to roam and engage much in the same way as fleets do in lowsec today, creating a the possibilities for small-scale capital engagements like never before. Much of the debate around the long distance travel has been around Jump Freighters. Naturally for those living in deep nullsec, five light years in maximum jump distance is a game-changing fact that makes life as they know if a lot harder. Although lowsec is not nearly as affected, the changes will certainly still have an impact. Assuming Jump Freighters aren’t spared the nerf bat for jump distance in any way, the increased difficulty in trading directly with highsec will aggressively stimulate local industry and trade. Industrialists that already have a working system which includes regularly moving materials to and from highsec will be forced to adapt. The meatgrinder must be fed however, and Phoebe represents new possibilities for crafty entrepreneurs looking to make a living supplying that demand. Ideally this development gives rise to flourishing local markets and further independence from highsec. Undoubtedly, deep space transports are going to be the new black come November. Powerful entities will also find it a lot more difficult to protect resources far away from where they live, opening the possibilities for local lowsec residents to acquire new sources of income and manufacturing materials. Power to the people. I am personally very excited about what Phoebe will herald for lowsec. It is ironic that a massive nerf essentially represents all kinds of doors and possibilities opening up, allowing lowsec to develop its strengths and making those strengths the law of the land. So, warriors, come out and play.